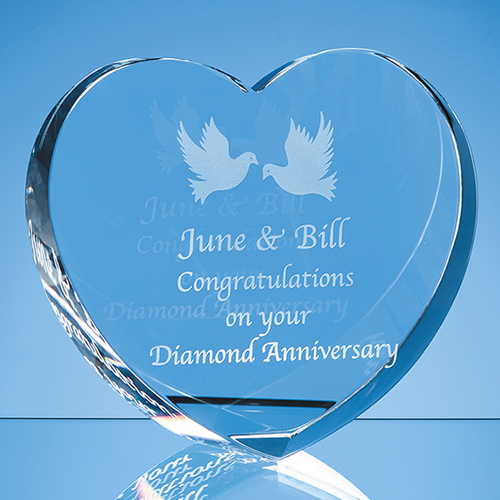 This simple yet romantic heart shaped 10cm optical crystal memento is the perfect gift to say I love you, or to mark a special occasion such as a valentine, engagement, wedding, birthday or anniversary. It is an especially appropriate to mark a 15th or Crystal wedding anniversary. It stands upright on a flattened surface on the base and would look lovely on a mantelpiece, dressing table or crystal cabinet. There is space on the front to engrave an inscription, message date or name and it comes already packaged in its own foam lined presentation box.